If your device DOES NOT PROMPT/ASK FOR UNLOCK CODE: DO NOT ORDER UNLOCK CODES as your Coolpad 3632A phone will not allow you to enter these codes. Unlock your Coolpad 3632A Now! Simply provide your details and phone serial number and we will email you the unlock code with Easy-to-Follow Step-by-Step instructions. Important: Select the Current Country & Network your Coolpad 3632A is locked to. Do NOT select the network you want to use. Delighted, quick & easy - worked first time, :) :) - reasonable price compared with phone shops. Excellent service, really quick, easy to read instructions (MAKE SURE YOU CAREFULLY READ THE INSTRUCTIONS) and it worked first time on my LG G4. Fantastic. Definitely recommend. Great i will recommend u guys to the world. My samsung galaxy s9 plus was unlocked in less than 12 hours I was shocked n didnt believe it. I now believe that u giys can unlock anything n any phone in this world. Bravo to u guys and thanks very much! All we need is the IMEI number of your Coolpad 3632A phone and the network Provider it's currently locked to (we mean the Original Carrier who sold the phone: they have programmed the simlock restriction). We will use these details to generate your unique and individual unlock code and give your handset total freedom! You will be emailed your unlocking code along with easy to follow instructions to remove your current network provider simlock with absolutely no risk of damaging your 3632A phone. We have already provided thousands of Coolpad unlock codes here at Unlock Network, since 2007. 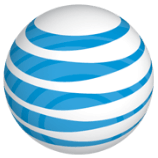 We enable you to use your phone on ANY network carrier, local or worldwide. We are the best in the business. That’s not just talk: Just read through authentic certified Reviews from our customers and you will see we provide excellent customer support and deliver upon it time and time again. We provide even better service than your official carrier for unlocking your Coolpad device. Why ? Not only we are simply way cheaper and much faster but we also provide you with a complete set of codes you need plus assistance. Get your Unique 3632A Unlock Code Now! 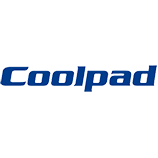 You will get manufacturer-issued unlock code(s) directly sourced from Coolpad. You will be provided with step-by-step instructions on how to enter your unlock code on your Coolpad 3632A handset. Then you simply type the code into your phone and there you are: 3632A Unlocked and ready to accept any GSM provider SIM-card! - Use your Coolpad 3632A with any GSM service provider worldwide, accepting any SIM card. - Increase the resale value of your unlocked Coolpad 3632A. - No technical knowledge required: If you can dial a telephone number, you can unlock your Coolpad 3632A with a code.